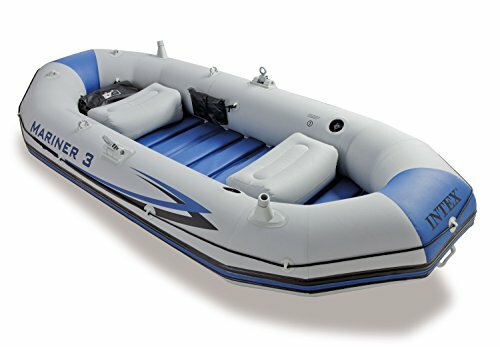 The Excellent Quality Mariner 3 Boat Set - Mariner 3 Boat Set has two Boston Valves on main hull chamber for quick-fill, fast deflate. Super Tough construction is triple strong. Made with 3 separate layers of material for extra strength and durability - two outer layers of heavy-gauge PVC laminated to an inner layer of polyester mesh for extra reinforcement. All-around grab line and rub strake. Heavy-duty extruded plastic flooring for comfort and rigidity. Two fishing rod holders. Two inflatable thwart seats. 1 gear pouch and 1 battery pouch. Welded-on rotational oar locks. Motor mount fitting. Oar holders.